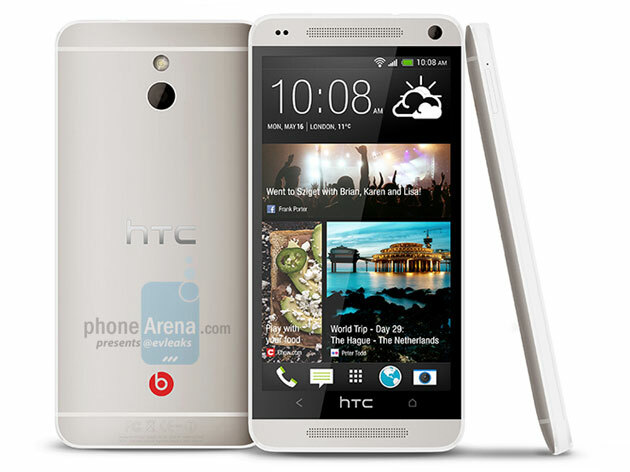 Back in February, specs leaked for a device code named the M4, referred to as the HTC One’s (M7) little brother. The specs included a 4.3″ 720p display, 2GB of RAM, a dual-core Snapdragon processor, and it ran the latest version of Android, 4.2. Today, a render has leaked for this device and it is dubbed, the HTC One Mini. For anyone that might be interested in the design of the One, but desires a smaller display, this is your phone. According to the leak, the phone features just about the same specs that were leaked a couple of months ago, except now it states this device has an Ultrapixel camera and 4G LTE connectivity. Launch is said to be penciled in for the end of Q2, but there is no word on price. Interested in the One Mini?